NEW RELEASE! This is the downloadable PDF/MP3 edition. If you would like to buy the spiralbound paperback book/CD set, please click here. NEW! If you want to play the mandolin, but don’t want to play a zillion chords, this is the book for you! Includes music , tab and lyrics to 39 familiar bluegrass, old-time, folk and gospel songs, each with only TWO CHORDS. 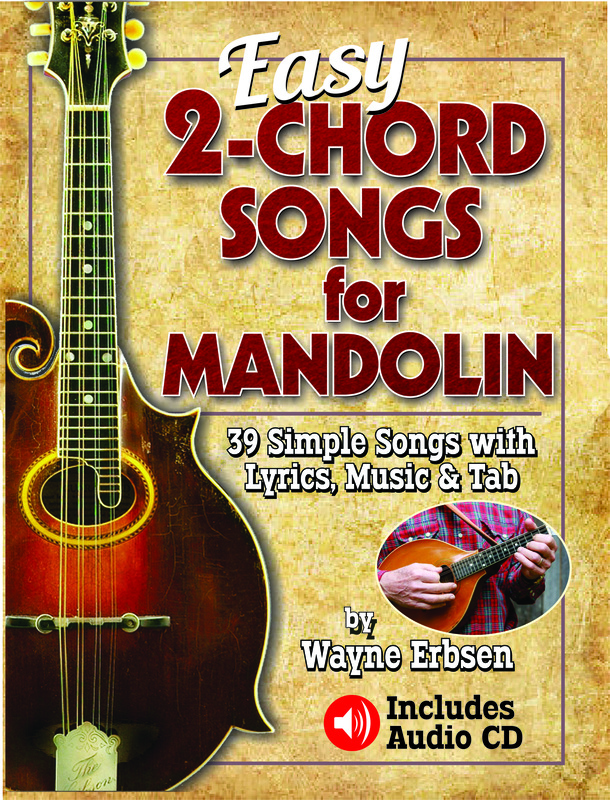 Be the first to review “Easy 2-Chord Songs for Mandolin (eBook)” Click here to cancel reply.